Bringing fresh ideas to the ancient skill of wood crafting. 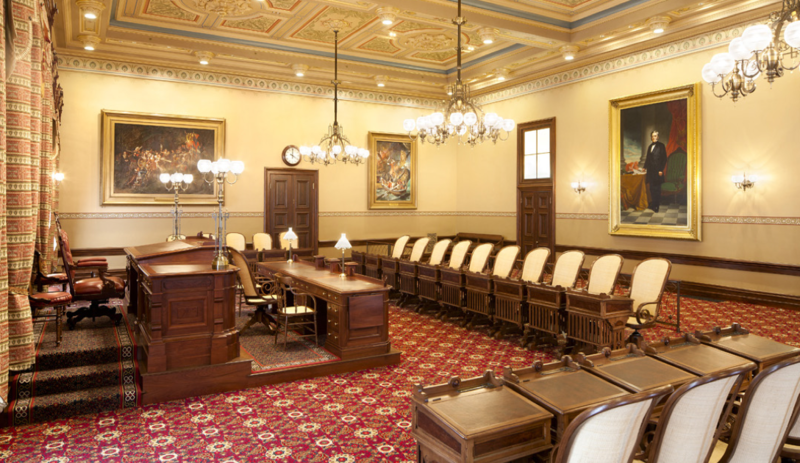 Whether you are involved in total restoration, needing to match profiles, implementing cabinetry, or requiring custom items of any type, Zeeland Architectural Components’ staff of superbly talented artisans are ready to serve you. Zeeland Architectural Components exemplifies the intuitive use of imagination, design and ingenuity. Our products present a fine enduring craftsmanship, which epitomizes the very essence of excellence, engineering and execution. Zeeland Architectural Components has secured a niche in the custom architectural market by supplying the most difficult to fabricate wood components. Every day, our skilled craftsmen produce a wide variety of products to complement the finest construction projects. Blending the restoration of the original building with a large addition required special attention. 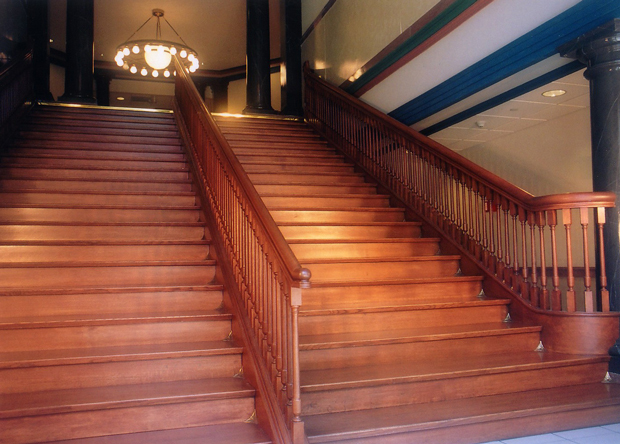 Zeeland Architectural Components supplied all of the millwork and replicated distinctive stair components to the original familiar entrance stairway. For this fine, Country French “100 year” estate, Zeeland Architectural Components fabricated several detailed entrances, interior doors, stair components, along with other required millwork. An elaborate restoration of this fine structure returned the original pristine detail. Zeeland Architectural Components fabricated many large and small curved mouldings and trim to highlight the theater and entrance, including new doors. Otherwise known as the “Golden Dome”, this renowned building was restored with stunning, award winning results. Zeeland Architectural Components replicated and supplied all of the required millwork and cabinetry to match the original historical essence. As an historical home and landmark in Holland Michigan, the restoration of this house required the fabrication of workable wood shutters, replication of running trim, and various exterior components. In downtown Grand Rapids, this building was restored into apartments for inner city special needs residents. Several stair components were replicated by Zeeland Architectural Components and running trim was matched on various floors to create a unique urban setting. This historical building originally designed by Thomas Jefferson underwent an extensive restoration and addition. Zeeland Architectural Components supplied all of the running millwork, including a blue-print, sequenced matched Anigre wall paneling system with hidden doors. As a Richmond, Virginia landmark, this building was restored to its original 1920’s Spanish Mediterranean Style along with an extensive addition. Zeeland Architectural Components replicated and fabricated various components including bar surrounds and window shutters.